Is it just me, or did others also draw a parallel between the ‘69th’ Golden Globe Awards and the sexual content in the humor that came in frequent and strong doses. 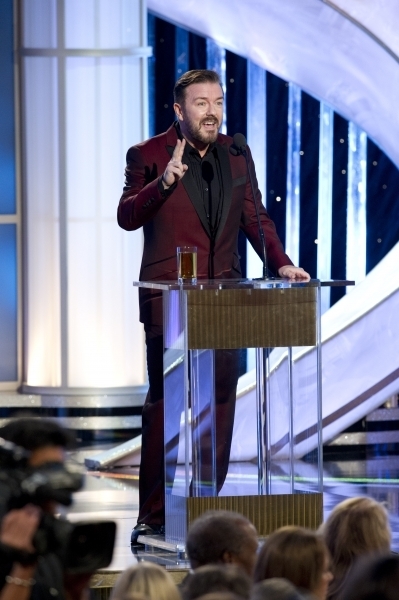 There was host Ricky Gervais talking about Madonna being ‘like a virgin’, and Madonna subsequently responding to that by saying, “Ricky, if I’m still a virgin, why don’t you come here and do something about it!” And there was presenter Seth Rogen talking about ‘concealing a huge erection’ while he stood beside fellow-presenter Kate Beckinsale. And when George Clooney accepted his Globe for The Descendants, he spoke of Michael Fassbender’s ability to play golf with his hands behind his back! Despite the fact that some might call bits of the humor inappropriate, the humor at the show was hilarious and entertaining as was expected from Gervais, who’d received some serious flak for going a step too far while hosting last year. The presenters of the evening were effective, and the ones that instantly come to mind are Dame Helen Mirren, talking about Cecille B DeMille recipient Morgan Freeman as a co-star, and Felicity Huffman and William H Macy, singing together to introduce the category they were presenting. And while some of the acceptance speeches seemed too rehearsed, it was still fun to watch Sofia Vergara and Steven Levitan making their bilingual acceptance speech on winning the Globe for Best Series – Musical or Comedy for MODERN FAMILY. A few acceptance speeches, like those by Michelle Williams, who won Actress in a Musical or Comedy for My Week with Marilyn, and Octavia Spencer, who won Supporting Actress in a Motion Picture for The Help, were also moving. Among the surprises of the evening was Martin Scorsese winning Best Director for Hugo, while both Best Pictures—The Descendants and The Artist—not scoring there. The television awards were not all that surprising though. Seeing critically acclaimed HOMELAND winning Best Series Drama as well as Actress in a Series Drama for Claire Danes didn’t come as a shock. While the comedies nominated hinted that a new show might take it away, it still wasn’t surprising that MODERN FAMILY won its first Globe for Series Comedy. It was however refreshing to see all new winners in the television awards. Matt LeBlanc won his first Globe for EPISODES, Laura Dern took away Actress Comedy for ENLIGHTENED, Kelsey Grammer won Actor Drama for BOSS, while Peter Dinklage (GAME OF THRONES) and Jessica Lange (AMERICAN HORROR STORY) won in the supporting categories for television. The vibe of the evening was also exciting. The good turnout ensured that there was some celeb eye-candy to see at every camera angle. Barring the absence of winners like Woody Allen and nominees like Ryan Gosling, there were no real disappointments at the Globes this year. 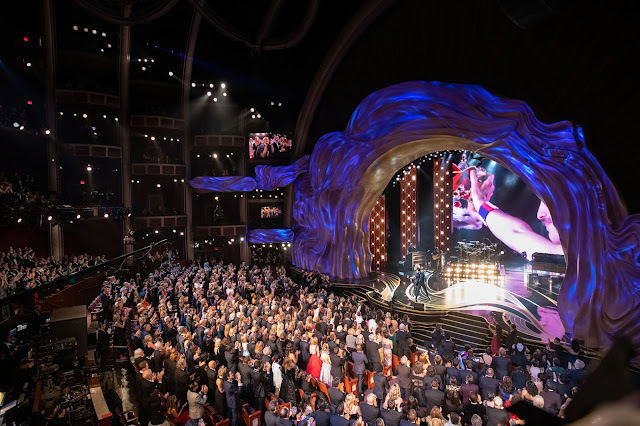 There was plenty to write home about, especially since it looked like the Hollywood Foreign Press Association didn’t bother about the controversy that the awards had generated last year, going all out with the humor that made for relaxed and amusing show. I think someone else who stood out was the adorable doggie who came along with the cast when The Artist won. Was simply adorable and definitely an aaaaaaw moment. I think somehow everyone got the better of Ricky this year though I loved his dig at Johnny Depp that was simply hilarious. WILL THE OSCAR GO TO WHOM THE ACTOR WENT TO?